US House Speaker Nancy Pelosi said Thursday that US President Donald Trump would set a precedent by declaring a national emergency, stressing that what is happening at the US southern border is "not an emergency". "It's not an emergency, what's happening at the border. It's a humanitarian challenge to us", Pelosi said, adding, "If the president can declare an emergency on something that he has created as an emergency — an illusion that he wants to convey — just think of what a president with different values can present to the American people". Trump is expected to sign on Thursday the bipartisan spending bill being prepared by the US Congress, but he will also declare a national emergency to secure funds for his promised border wall, US Senate Majority Leader Mitch McConnell said earlier in the day. "I've just had an opportunity to speak with President Trump," McConnell said on the Senate floor. "I would say to all my colleagues he has indicated he is prepared to sign the bill. He will also be issuing a national emergency declaration at the same time". In a separate statement, the White House confirmed Thursday that the president would declare a national emergency over the border issue using an executive order. "President Trump will sign the government funding bill, and as he has stated before, he will also take other executive action — including a national emergency — to ensure we stop the national security and humanitarian crisis at the border", White House spokeswoman Sarah Sanders said, adding that "the president is once again delivering on his promise to build the wall, protect the border and secure our great country". Pelosi stressed Thursday that the US lawmakers would be prepared to respond appropriately to Trump's declaration of a national emergency, adding that they could file a legal challenge on the matter. In turn, the White House spokeswoman said in a statement on Thursday that the Trump administration is prepared to withstand a possible legal challenge. 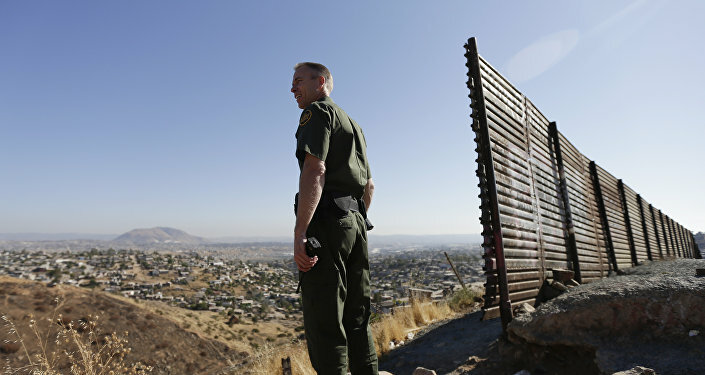 The current US budget deal includes $1.3 billion for 55 miles (88.5 kilometers) of new fencing along high-traffic border areas in the state of Texas, significantly less than the $5.7 billion Trump has sought to build the much-anticipated wall on the US border with Mexico. Trump has repeatedly vowed that the border wall will be constructed anyway, and he previously hinted at declaring a national emergency so the military could build the fencing with funds diverted from elsewhere in the federal government. Reuters reported Thursday, citing a source familiar with the matter, that the White House had identified $2.7 billion in funds previously provided by Congress that could be redirected to barrier funding as part of a national emergency. The US Congress is expected to vote later on Thursday on the government funding bill. The legislation would reportedly provide more than $300 billion to fund the Department of Homeland Security and some other US agencies through 30 September, the end of the current fiscal year. Will Inaccuracies in Trump's Border Wall Speech Matter to His Base?